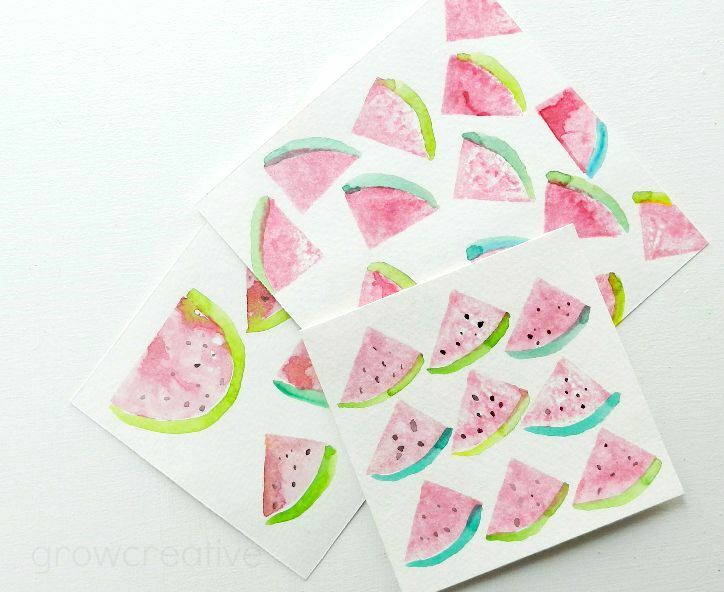 August is here and so are the tastiest watermelons! Want to paint some? Just grab a potato and some paint. 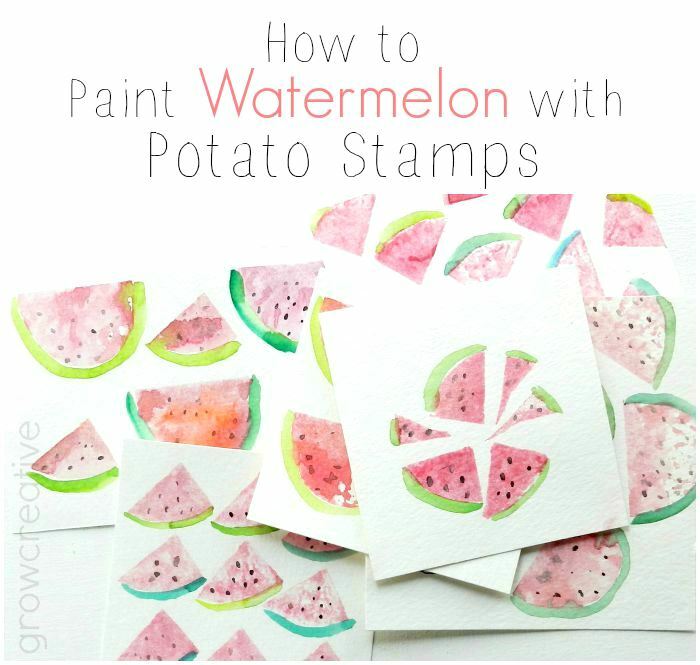 I used my favorite paint- watercolors, but this would work with acrylics too. Step 1: Cut your potato in half width wise, the in half length wise. The end of the potato should be a semi-circle. You can also cut that piece in half to create a triangle shape on the end. 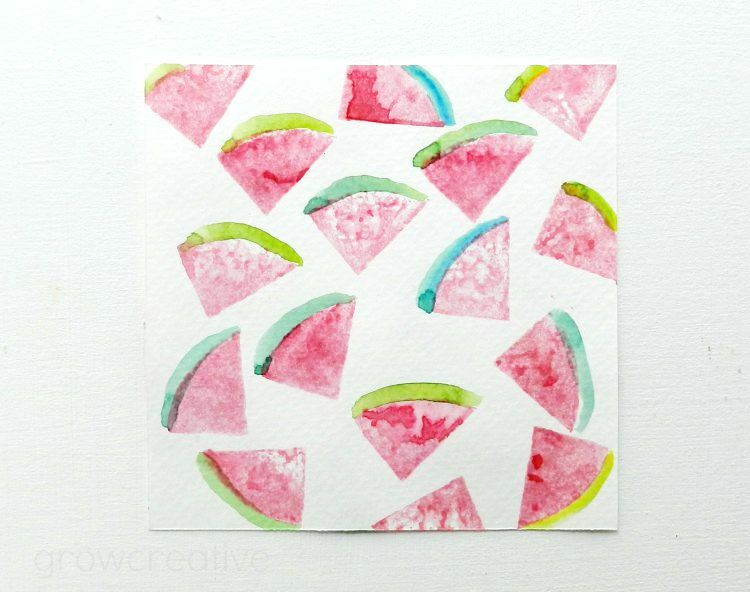 Step 2: Spread pink paint over the cut end with your brush and quickly press down to your paper. Hold for a couple of seconds and remove. You now have the flesh part of your watermelon slice painted! Then, when that paint is dry, lightly paint in some seeds with little black dots. This part is optional. I think I like them with and without the seeds. So you choose! Thanks Jackie! 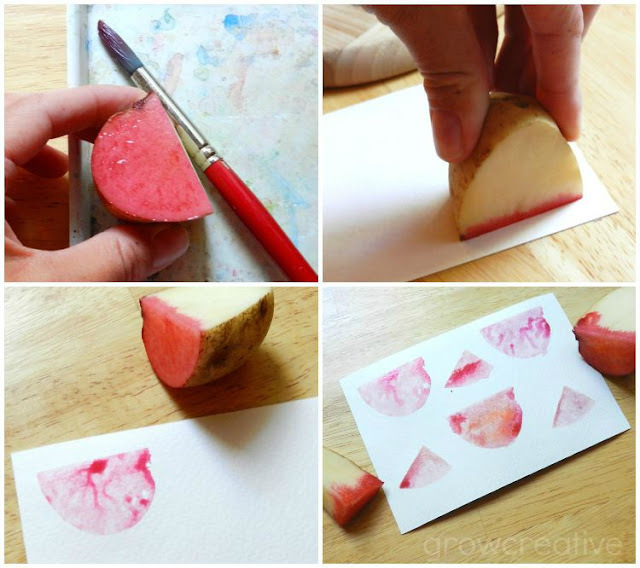 Yes, the potato has to be sacrificed for the art- I do that with food a lot! Good luck! Yes, it would make a good kid's activity!